Tours by Locals are a global company headquartered in Vancouver, who provide guides covering 156 countries for travellers looking for a bespoke cultural experience. So not necessarily the most touristy sites but the the ones that really appeal to the more independent and adventurous style of traveler. The guides are all local people with extensive knowledge of their country and the most desired tourist destinations. 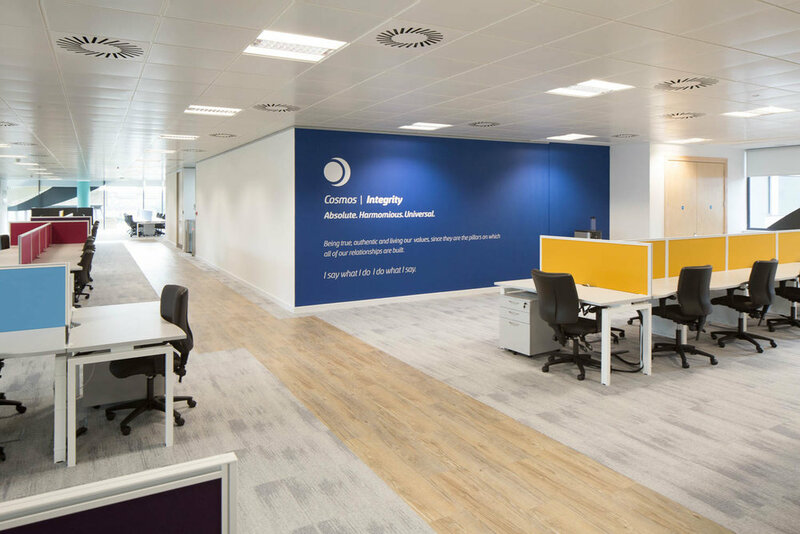 Their Glasgow office was based in a serviced office and due to the growth of the company, the desire was to relocate to a new office space to accommodate growing staff numbers as well as creating a fun environment which tells the story of the company. The design team at Amos Beech created a full interior design presentation including rendered visuals. 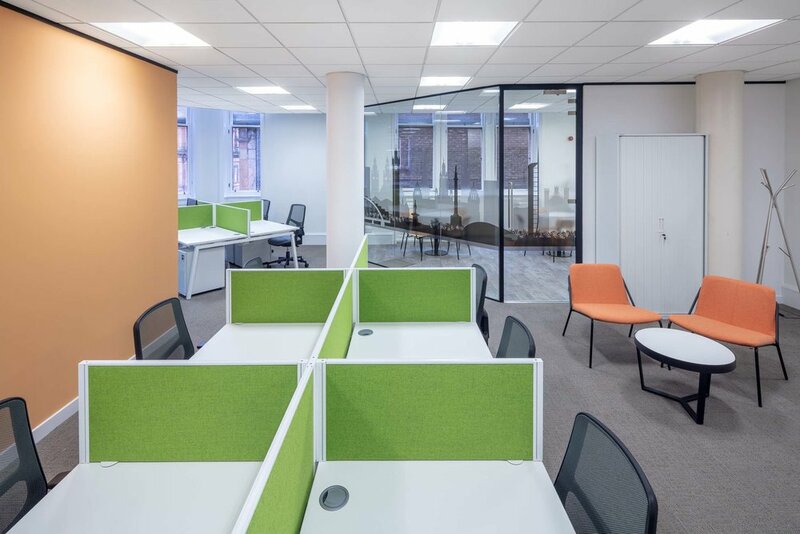 The local representative from Tours by Locals was most impressed with the amount of work that the design team had put into the project at this early stage, and also the high standard of real-life visuals which enabled him to see quite clearly what the new office would be like. Over the last 10 years we have been a frequent visitor to Morisons Solicitors in Glasgow as we have been on hand to help them with internal office alterations, the inevitable ‘lost keys’ and various other needs since we helped them move to Bothwell Street in 2007. Morisons has an eye for quality and detail and it hadn’t gone unnoticed that the office was looking a little tired. As you would expect, Morisons looked at all the options, considered other office locations in Glasgow but ultimately decided to stay and refurbish – a big factor was the number of car parking spaces they have under the building! So a potential move become a stay and refurbish and fit out along with the associated challenge of keeping a busy team of lawyers functioning in the meantime. Our Project Team rolled up their sleeves and got down to work. Intelligent interior design Glasgow was crucial to the success of the project as well as ensuring the final result was every bit as impressive. The project was carefully designed around three phases which as requested, allowed the business to continue to function. For a couple of weeks, all client meetings were held off site but this was a small inconvenience to worry about. In the first stage, we emptied the top floor and refurbished it to create a new staff breakout area that offered an oasis of peace and quiet that was attractive to staff. The new space encourages them to leave their desks and office environment for something more uplifting and homely. The next piece of the puzzle was to move the main office into the meeting suite to allow the necessary upgrades to the air conditioning, data cabling, electrics, lighting as well as redecoration, new storagewall and office furniture upgrades. Through careful observation and analysis of the way Morisons work, the interior design team were able to identify some new ways of working that would benefit the team. By introducing quiet work zones, collaboration areas and a new tea point with a Zip instant hot water tap, flexible space and agile working are very much on the agenda. The budget was not a free for all and so careful management and intelligent re-use of existing desks and supplementing with new from the same range which was still available. Continuity is very important when selecting office furniture ranges for this reason alone. Doing all of this we were able to increase occupancy on the same floor space whilst at the same time liberating space that had previously been lost in storage capacity which was no longer required. 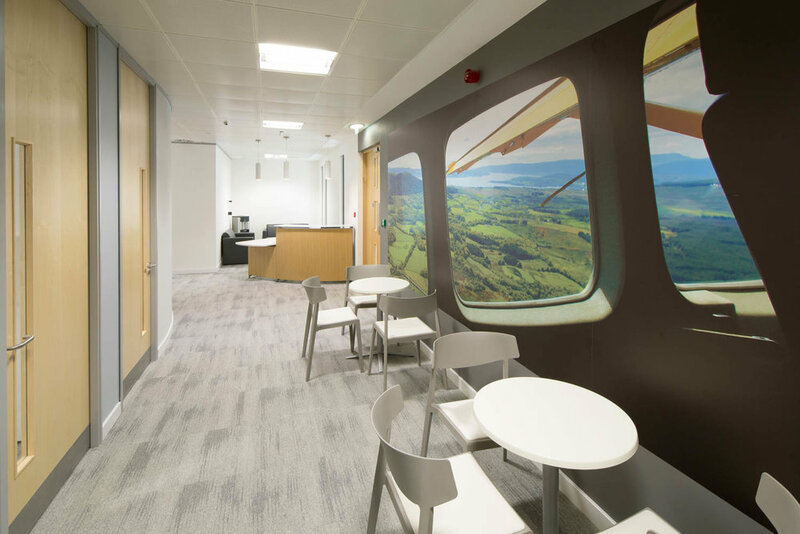 The interior design team were keen to make the space as invigorating as possible and by using the storagewall as their canvas, a vinyl wrap was used to bring the great big outdoors to a lawyers office in the middle of Glasgow. Inspirational stuff indeed. Completing the project was perhaps the most important part which is the ‘front of house’. 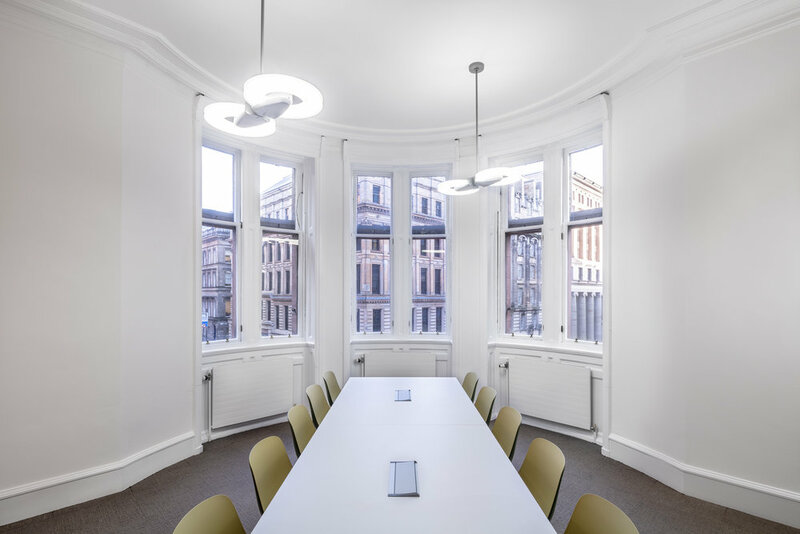 Morisons window on Glasgow is the space to which both private and commercial clients are invited and it was crucial that this space presented the correct image. Again, keeping an eye on the overall budget, we were able to re-use the existing reception desk and chairs. To complement, a new sofa was selected from Lyndon Design and complete redecoration of the space. Our client identified a need for additional call centre capacity in Glasgow and requested our assistance to help them identify and secure the space that met their specific requirements. This included the space to have a large emergency generator installed on site and sufficient space for 600 staff and a training facility within the constraints of their business model which relies on income generated from seating capacity that is sold to their customers. Along with this, they had identified that their staff retention was too high and they were keen to develop an interior design that would inspire their staff and create a place where they wanted to come and work as well as relax and network with their colleagues. A fantastic building for office space in Glasgow (Cuprum) was selected and we set about designing the entire space where the scope of works included full interior design and building warrant preparation, HVAC, electrical, data, comms rooms, plumbing, washrooms, floorcoverings, partitions, lighting, office furniture, soft seating and graphics. A key component to getting this project on track and completed within the required timeframe was our Visualisation skills. Our interior design Glasgow team created the entire space in virtual 3D and populated this with a complete interior scheme. The detail for this extended right through to branding, flooring details and window manifestation. 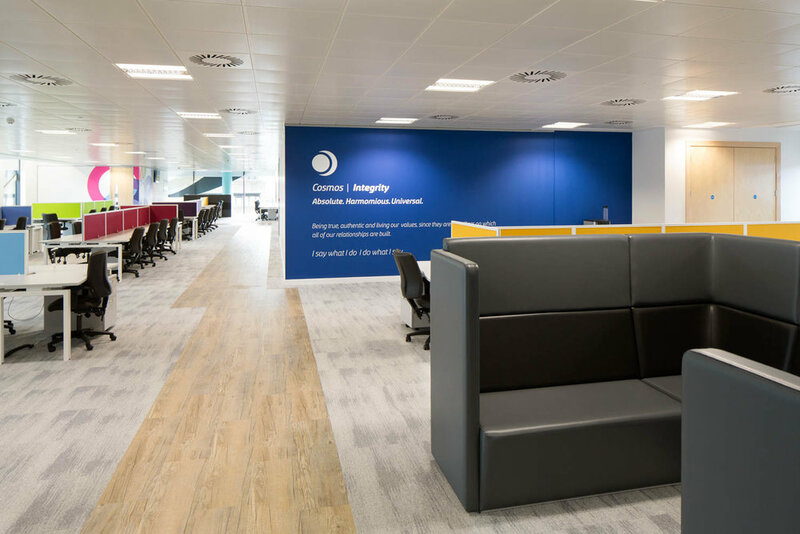 This hugely assisted our client as it enable them to walk through their own offices, see how furniture was laid out and get an all-encompassing overview of the branding. When handover was made, they already knew their way around. Our client’s customers are now occupying the space and the feedback has been exceptional including remarks that the environment is better than their own head office space. In addition to this both the building manager and the building owner admitted that they were concerned that a call centre was being developed in their building but the end result far exceeded their expectations and they are proudly showing it off to other potential tenants.